Payroll 1099: Payroll Software, 1099 Software, 1099 Efile, W2 Forms & 1099 Forms. The United States Congress passed the Tax Cuts and Jobs Act of 2017 on December 20, 2017. 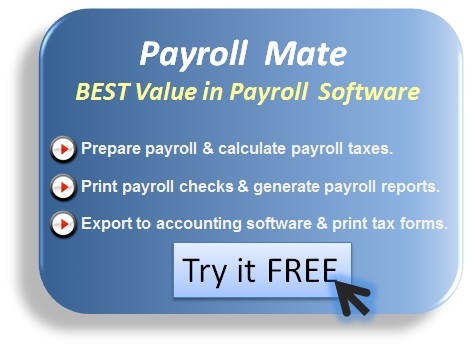 Payroll Mate is helping employers and tax professionals comply with the new regulations. When will the IRS publish the 2018 withholding tables? In a statement on December 13, 2017, the IRS said they will be publishing Notice 1036 (Early Release Copies of the Percentage Method Tables for Income Tax Withholding) in January 2018. When will Payroll Mate be updated with the 2018 Tax Cut changes? As soon as the IRS publishes Notice 1036, our development team will start implementing and testing the 2018 federal withholding calculations. What are the new withholding rates? The new rates are 10%, 12%, 22%, 24%, 32%, 35%, and 37%. What is the new standard deduction? $12,000 for single filers, $24,000 for married joint filers, and $18,000 for heads of household. What is the new personal exemption? The personal exemption has been repealed. So there is no personal exemption starting in 2018. What are the new flat withholding rates? For supplemental wages up to $1 million, the optional flat rate is 22%. For supplemental wages in excess of $1 million, the mandatory flat rate is 37%. What is the mandatory backup withholding rate? The mandatory backup withholding rate (applies when independent contractors don’t give you their taxpayer identification number before you pay them) is 24%. Will form W-4 get updated? Yes, most probably employee form W-4 will have “structural changes” and a new version will be published by the IRS. Do we need to file forms 1095-C / 1094-C for 2017? The final tax reform bill (which takes effect in 2018) eliminates (makes it $0) the tax penalty levied on individuals who don’t obtain health insurance. However applicable large employers still have to furnish copies of Form 1095-C to their employee by the end of January and to file those forms, along with the transmittal, Form 1094 – C, with the IRS by Feb. 28, for paper filers, or by April 2, for e-Filers. 1) If you are an employer with 50 or more full-time employees in the preceding calendar year you must use Affordable Care Act Form 1095-C to report your employees’ offers of health coverage and enrollment in health coverage. 2) If you are an employer and you provide self-insured health coverage to your employees, you must send Form 1095-C (to your employees and the IRS) regardless of the number of your full-time employees. 3) You must send 2015 forms 1095-C to your employees no later than February, 1st 2016. The easiest way to process 1095-C forms is by using ACA 1095 Filing Software either desktop-based or online. 4) You can send form 1095-C to an employee in electronic format (such as a PDF document) instead of paper as long as you have the employee’s consent and the electronic format matches the specs of the paper copy (complies with IRS Publication 5223). 5) You must send 2015 forms 1095-C to the IRS no later than February, 29 2016 if you are filing on paper and no later than March, 31, 2016 if you are filing electronically. 6) If you are filing 250 forms 1095-C or more, you have to file electronically with the IRS. 7) The IRS will not impose penalties for incorrect or incomplete fields on the 2015 1095-C forms if you can show you have made a good faith effort to comply with the ACA filing requirements. 8) If your is business is located in “Alabama, Arizona, Arkansas, Connecticut, Delaware, Florida, Georgia, Kentucky, Louisiana, Maine, Massachusetts, Mississippi, New Hampshire, New Jersey, New Mexico, New York, North Carolina, Ohio, Pennsylvania, Rhode Island, Texas, Vermont, Virginia, West Virginia” you mail the IRS copy of form 1095-C to “Department of the Treasury Internal Revenue Service Center Austin, TX 73301”. And If your is business is located in “Alaska, California, Colorado, District of Columbia, Hawaii, Idaho, Illinois, Indiana, Iowa, Kansas, Maryland, Michigan, Minnesota, Missouri, Montana, Nebraska, Nevada, North Dakota, Oklahoma, Oregon, South Carolina, South Dakota, Tennessee, Utah, Washington, Wisconsin, Wyoming” you have to mail the form to “Department of the Treasury Internal Revenue Service Center Kansas City, MO 64999”. 9) You may mask the employee’s or covered individual’s social security number (SSN) on Form 1095-C you send to the employee (NOT the IRS) by showing only the last four digits of the SSN and replacing the first five digits with asterisks (*) or Xs. 10) If you submit 1095-Cs to the IRS electronically you have to create your submissions in XML format and comply with IRS Publication 5165. 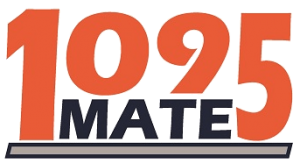 Our 1095 Mate software gives employers everything they need to process 1095-C and 1094-C forms in-house at an affordable price and with minimum effort. It’s that time of the year again! In this post we share the 2015 payroll tax changes (as of December 18, 2014). 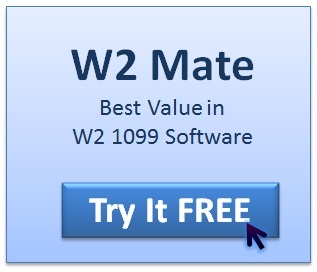 We would also like to invite you to check out our 2015 Payroll Mate software (for processing 2015 payroll) and our W2 Mate 2014 software (for 2014 year-end W2 and 1099 compliance) . If you have any feedback about this list, please email info@realtaxtools.com . Social security, the 2015 tax rate is 6.2% each for the employee and employer. The 2015 social security wage base limit is $118,500. The 2015 Medicare tax rate is 1.45% each for the employee and employer. There is no wage base limit for Medicare tax. In addition to withholding Medicare tax at 1.45%, you must withhold a 0.9% Additional Medicare Tax from wages you pay to an employee in excess of $200,000 in a calendar year. The 2015 Federal Unemployment Tax Act (FUTA) wage base is $7,000 per employee. The 2015 Federal Withholding Allowance is $ 4,000.00. The 2015 Federal income tax rates are 10%, 15%, 25%, 28%, 33%, 35% and 39.6%. The 2015 federal brackets for SINGLE filers are $2300, $11525, $39750, $93050, $191600, $413800 and $415500. The 2015 federal brackets for MARRIED filers are $8600, $27050, $83500, $159800, $239050, $420100 and $473450. Alabama [$8000], Alaska [$38,700], Arizona [$7,000], Arkansas [$12,000], California [$7,000], Colorado [$11,800], Connecticut [$15,000], Delaware [$18,500], District of Columbia [$9,000], Florida [$7,000], Georgia [$9,500], Hawaii [$40,900], Idaho [$36,000], Illinois [$12,960], Indiana [$9,500], Iowa [$27,300], Kansas [$12,000], Kentucky [$9,900], Louisiana [$7,700], Maine [$12,000], Maryland [$8,500], Massachusetts [$15,000], Michigan [$9,500], Minnesota [$30,000], Mississippi [$14,000], Missouri [$13,000], Montana [$29,500], Nebraska [$9,000], Nevada [$27,800], New Hampshire [$14,000], New Jersey [$32,000], New Mexico [$23,400], New York [$10,500], North Carolina [$21,700], North Dakota [$35,600], Ohio [$9,000], Oklahoma [$17,000], Oregon [$35,700], Pennsylvania [$9,000], Puerto Rico [$7,000], Rhode Island [$21200], South Carolina [$14,000], South Dakota [$15,000], Tennessee [$9,000], Texas [$9,000], Utah [$31,300], Vermont [$16,400], Virgin Islands [$22,900], Virginia [$8,000], Washington [$42,100], West Virginia [$12,000], Wisconsin [$14,000] and Wyoming [$24,700] . Arkansas, California , Colorado , Connecticut, Washington DC, Idaho, Illinois, Kansas, Kentucky, Maine, Maryland, Massachusetts, Minnesota, Missouri, New Mexico, New York, North Dakota, Oklahoma, Oregon, Rhode Island and Vermont . The 2015 standard mileage rates for the use of a car, van, pickup or panel truck will be 57.5 cents per mile for business miles driven, 23 cents per mile driven for medical or moving purposes, and 14 cents per mile driven in service of charitable organizations. Alaska [$8.75], Arizona [$8.05], Arkansas [$7.50], Colorado [$8.23], Connecticut [$9.15], Florida [$8.05], Hawaii [$7.75], Maryland [$8.00], Massachusetts [$9.00], Missouri [$7.65], Montana [$8.05], Nebraska [$8.00], New Jersey [$8.38], Ohio [$8.10], Oregon [$9.25], Rhode Island [$9.00], South Dakota [$8.50], Vermont [$9.15 and Washington [$9.47] .